So you want to be a scenster? Well, you’re going to have to do more than buy an expensive condo downtown or go to the bars every night. You have to know where the scene is. Luckily, I can help you with that—the hipsters are all at Gallery Stroll, which occurs on the third Friday of every month. Gallery Stroll has been creating a buzz for over 20 years with local art galleries accommodating the workingman by staying open late and providing art, food and sometimes, music. The place: Salt Lake Art Galleries. The time: 6p.m. to 9p.m. The date: Nov. 19. Here’s a list of the galleries you won’t want to miss:Models and DJs provide the perfect accompaniment for an art gallery. Something about a women walking around with cones on her head just takes the stuffiness right out of the experience. The founders of Unknown Artist Gallery, located at 353 W. 200 South, know that not everyone who attends an art opening are over 60 years old with millions of dollars to spend. This street-savvy art gallery promotes the up-and-coming and emerging artist and provides a venue where the younger art admirers can feel right at home. An art opening should be a playful experience where the artist and the art patrons can mingle and enjoy the synergy of other artists and art mediums. Unknown Artist Gallery is open Tuesday through Saturday, noon to 7p.m., with the artist’s reception coinciding with this month’s Gallery Stroll. Also, check out the merchandise for sale during the Holiday Stroll Dec. 3, where you can find the perfect inexpensive gift for the urbanite in your life. If you could have the most influential people of your existence standing by your side, who would they be? That question was posed to the Fab Four, also known as the Beatles, some 37 years ago by artists Peter Blake and Jann Hawthorn. The results became the Sgt. Peppers Lonely Hearts Club Band album cover. Jan Hawthorn, as one of the original artists on the piece, has kept a running tally in her mind of the people that she felt should have been included on the cover. Now, 37 years later, she posed the same question to the general public during the Utah Arts Festival and a town meeting at West High School. In almost 40 years, some of those faces have changed, and a lot more women and minorities made the cut. The new Sgt. 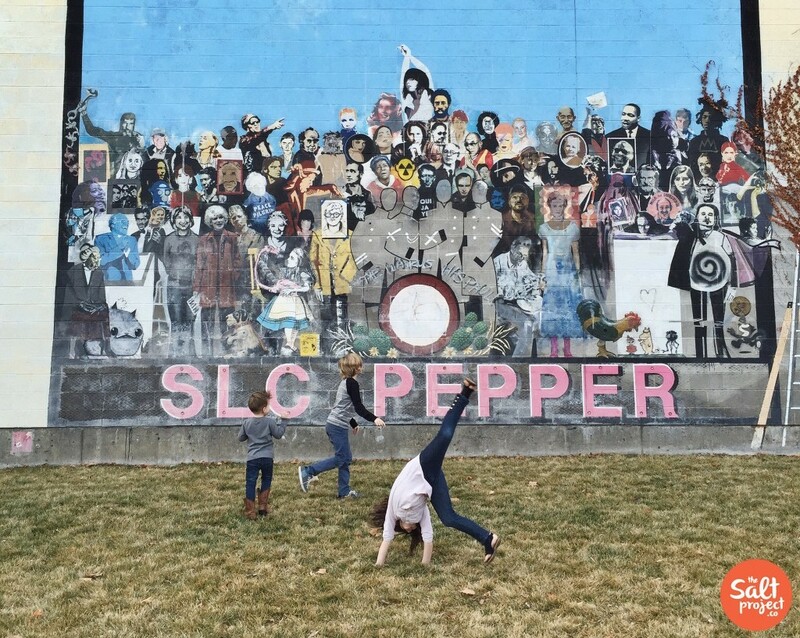 Peppers lineup will be painted, stenciled and collaged onto a parking structure at 400 W. 240 South. 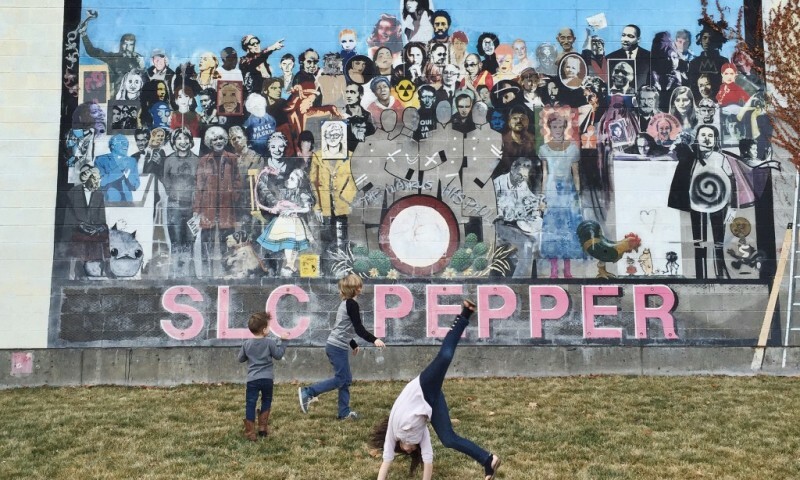 The project, now being called Salt Lake City Pepper, is the result of local artists and citizens joining forces to create a piece of art that will acknowledge and appreciate those people who have changed the way we live today. Another art gallery opening! That’s two in a month—who says the economy is bad? One Modern Art, located at 1074 E. 2100 South, will focus on abstract expressionism, pop art, cubism and sculpture. Artists will include Mark Seely, John Bell, Trent Alvey, Layne Meacham, Darryl Erdmann and Jeremiah Rodgers. For more information, contact them at 556-9904. Want to “Stroll” in Style? New Visions Gallery, located at 47 E. 400 South, understands that riding from gallery to gallery in a Pinto is not the ideal way for some to enter the scene. How about a limo ride for you and your friends with dinner reservations at Mikado? Sound a little more chic? Sign up for the drawing during the November Gallery Stroll and you could be riding around in style for Holiday Stroll on Dec. 3. Contestants need not be present to win; winner will be selected by 9p.m. on Nov. 19. For a complete list of art galleries participating in Gallery Stroll, you can visit www.ourcommunityconnection.com/gallerystroll SUPPORT LOCAL ART!!!!! !